Learn how to build a unique selling proposition for your product. Learn the best methods for how to sell a product to customers, no matter what you offer. Overcome the sales learning curve, and sell products in both physical and online marketplaces. 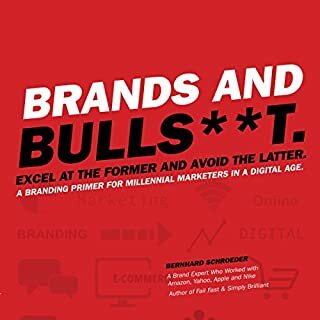 As for the content of the book, I would say it is good for someone looking to improve or renew their business through purpose driven marketing and brand identity. I am not an entrepreneur, but I am familiar with and help several of them and I feel that they could certainly gain a lot from Thai book. That said, the narration is dull. The narrator actually sounds like an automated voice from an older Mac computer in places. I had to check to make sure the narrator was listed as an actual human on several occasions. I would recommend this book to budding entrepreneurs or small business owners who want a fresh look at their business, but I'd absolutely recommend getting it in print instead of audio. What did you love best about Brand Identity Breakthrough? This is an excellent book. I particularly like the approach that your brand is everything you do and the way you do. Too many people jump into business without thinking about it thoroughly. Diehl gives an education in the things you really need to know. Many people under-think their business on several levels. This book will help you go through the process of building - or rebuilding - your business as a well considered adventure. Would you listen to Brand Identity Breakthrough again? Why? Found the narrator hard to listen to, sounded more like a computer voice simulation, very tinny and robotic. 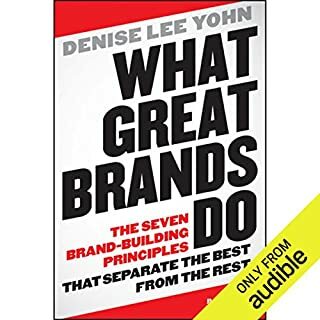 Reiterates with a different perspective multiple messages around branding that I've also read in multiple other books on branding. Some good case studies to help hammer the point home. A far cry from the shallow shtick that dominates the "self-help", Brand Identity Breakthrough is both rigorous and philosophical. As a small business owner, this book speaks to my basic desire to succeed and make money. But on a deeper level, this book is a celebration of the market's capacity to benefit everyone who partakes. It doesn't give a script to follow and it doesn't advocate deceptive sales tactics, it outlines principles by which an individual can find their place in the world. Thus benefiting themselves, and society as a whole. Finding your identity isn't just the key to financial success, it's the foundation of almost every kind of success. 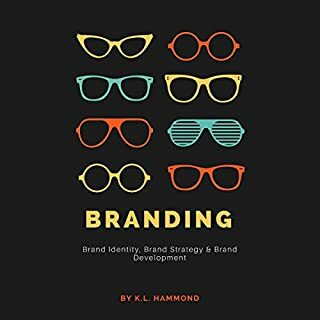 While the expressed purpose of this book may be to improve entrepreneur's brand effectiveness and market penetration, the effects are far more profound, both for the individual and for society. A really great book for helping you clarify who you are and what your business is really about. If you've ever struggled with explaining what your company does, or why it REALLY exists (not just another lookalike business) then this book will help you. Messaging and branding is there difference between having to drop your prices to compete on price, versus getting paid a premium to be a high-end provider because of your branding. Entertaining, thorough, concrete, and something that I found a lot of value in, on a topic that I personally have struggled with. Have you listened to any of Gregory V. Diehl’s other performances before? How does this one compare? Being somebody who's in the beginning stages of starting a new business, reading this book couldn't have happened at a better time. Gregory did a great job at explaining how to make my business look unique so that it stands out from the competition. Since I have a bit of an ADD brain, I felt he could've gotten to the point a bit quicker at times, but at the same time I understand the abundance of real life examples he uses just helps to drive the message home better for most people. Overall a great read, and I highly recommend it! 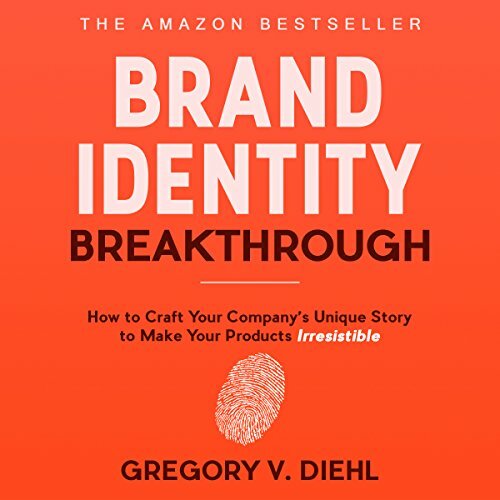 If you want, or if you even need to change your personal or business destiny, you have to start right here with Brand Identity Breakthrough by Gregory V. Diehl. With this powerful roadmap you will never look back. Your future starts here. Mark my word. If you could sum up Brand Identity Breakthrough in three words, what would they be? FULL DISCLOSURE: My copy of this book was provided by the author for my review. I must start off by saying I rarely if ever give five star reviews because I read so many books. Which is also unfair when an author sends me their book to read and review, hoping for a five star review. The four star review here is excellent in my opinion five stars is "shut the front door" everybody must read this book! 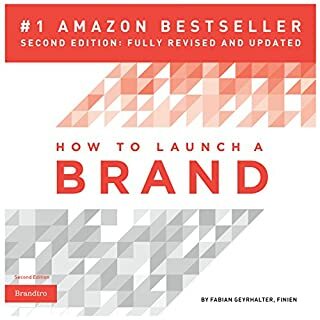 If this is your first book and glimpse into brand marketing, this book will give you so much to work on and so many great ideas! There was nothing in here that was earth shattering and brand-new for me but great material nonetheless. I had to labor hard to get through a few places in the book because I've heard some of it so many times before but glad I did and made it to the last section with his case study examples. I wish they would have been earlier or interspersed throughout the book as they were the major attention getters for me. The author is super qualified to write this book but I didn't get that sense early on in the writings. After hearing the stories the credibility boost was substantial in my view, and that is part of what needed to be shared earlier. So many concepts in this book, too many to grab at one time. This is a great book to come back to at least once a year to focus and align yourself to your purpose. 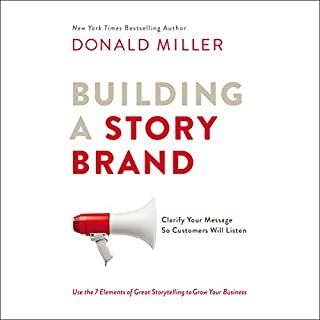 What other book might you compare Brand Identity Breakthrough to and why? I love Simon Sinek's "Start with Why" because it cuts through to the big purpose our businesses serve. This is a similar read! What does Gregory V. Diehl bring to the story that you wouldn’t experience if you just read the book? The more senses you engage, the more you'll absorb the concepts. This is the type of book you read AND listen to at the same time. Grab a highlighter, you'll need it. Pretty darn good and complete. As one who gave a career in the branding and design business, I found it accurate and expertly explained audio. 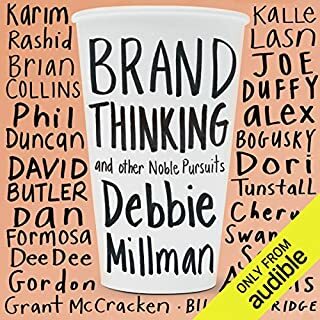 I had a pleasure of both reading and listening to the audiobook version of the "Brand Identity Breakthrough". I was slightly discouraged by the religious-heavy foreword by Alex Miranda, but I pushed through and was positively surprised by the quality and wealth of wisdom included in this book. Running my own business for over a decade and having read many bestsellers in the entrepreneurship, self-help, and marketing genres, I have to say that this book was very refreshing and full of actionable insights. The author managed to pack the pages with useful tips without introducing unnecessary fluff. Using relatable metaphors and analogies to convey his message, Gregory makes this an enjoyable and captivating read. I would recommend this book (and have done) to both, budding entrepreneurs and business veterans, to help improve their brand's messaging and discover the best way to transform ideas into wealth generating ventures. The audiobook version is narrated by the at a nice pace; His voice is clear and easily understood, making it a great listening experience. It is a kind of book you read once and then return to it again, and again.